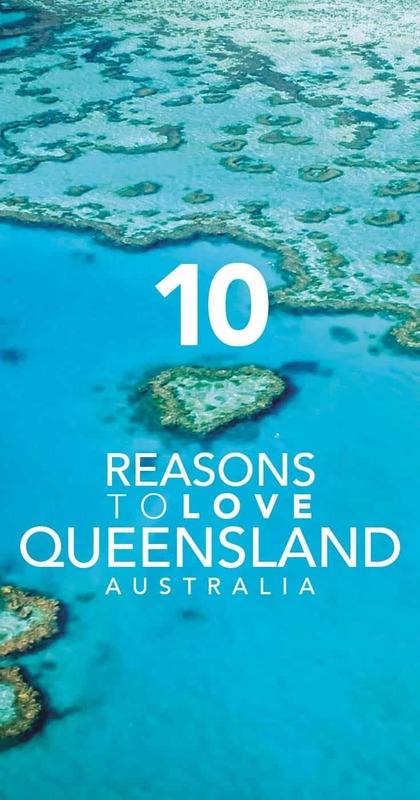 The palm-lined beaches, the rich Indigenous culture of this land, the colourful birds tweeting to tropical sunsets, the friendly Aussie banter, the incredible rainforests, the never ending reef; there are a million and one reasons why I love Queensland. My first visit to Queensland lasted a week. As I got on the flight out of Cairns heading to Uluru, I knew I’d be back someday soon. When Lonely Planet and Three UK asked me to share somewhere that had captured my heart, it was a no-brainer. I booked a ticket to Cairns to discover more of Tropical North Queensland. Hit play and let me show you why I love Queensland. Welcome to Port Douglas. This small laid back town is just over an hour away from the capital of the tropical north, Cairns. Port Douglas is a mega mix of nature, fancy resorts and fascinating cultural history. The one main street of Port Douglas is home to small boutiques, fancy restaurants, friendly cafes and Aboriginal art galleries. The marina with its cluster of restaurants, lively bars and super yachts completes the town itself. The real magic of Port Douglas is what surrounds it. Famously billed as where the reef meets the rainforest, this is an ultimate destination to experience some of Australias visually stunning nature. Whilst it was the starting point for the above video, there are plenty of reasons why I love Queensland. I’ll make it easy and break it down to my top 10. 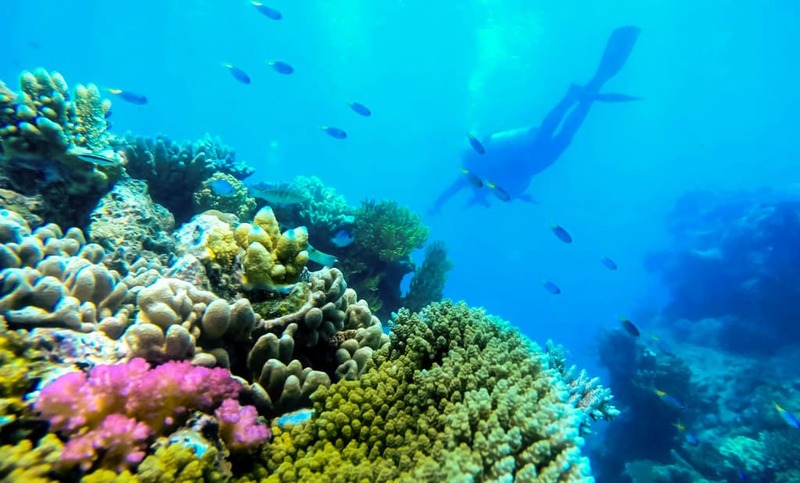 While the Great Barrier Reef is sadly now often in the news for the negative aspect of the continual bleaching (learn more) and it needs more protection desperately, you can’t deny this incredible underwater playground stretching along much of the Queensland coastline is a must for any visit to Australia. Even if you aren’t a fan of heading underwater, then flying over the Great Barrier Reef (video) reduced me to tears because of the sheer scale and beauty of it and I highly recommended it. Whatever way you decide to take in this natural wonder don’t make the mistake of missing it. The Daintree Rainforest is one of, if not the oldest rainforest in the old. 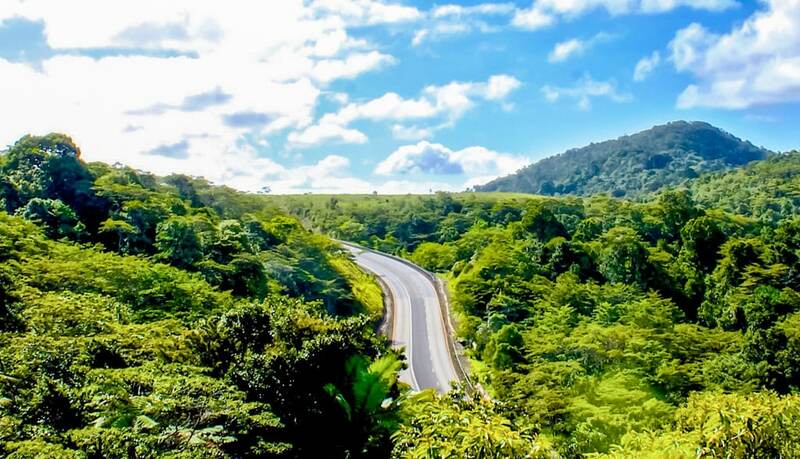 At over 1000 km sq in size, this vast lush land of green vegetation and waterfalls is one of the best day trips from Port Douglas. 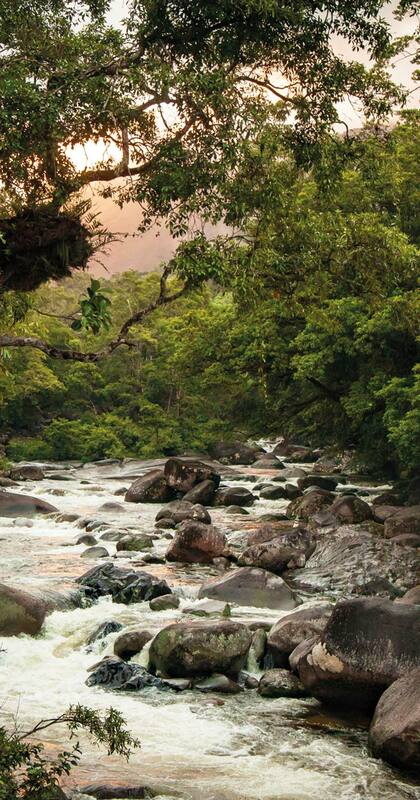 Mossman Gorge sits on the southern edge of the Daintree rainforest and is home to the locals of the Kuku Yalanji. 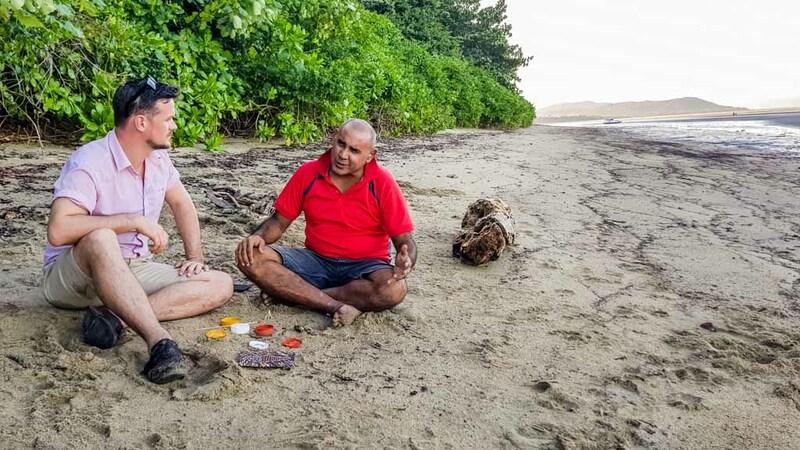 What fascinates me so much about this famous spot isn’t just the boardwalks and clear water rivers, but the guided walks by the natives who share their rich culture and knowledge of the rainforest with you. I learnt how to make paint from rocks, traditional medicines and understand just how important the natural resources of this area are. 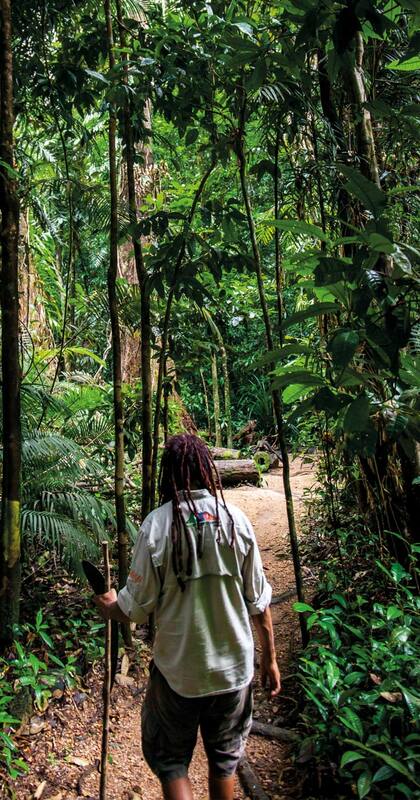 You can find out more about the Mossman Gorge Dreamtime walks here. The absolute highlight of my time in Port Douglas was meeting Binna at the Janbal Gallery. A native of the Kuku Yalanji, I was lucky enough to spend a whole day with him on Cooya beach and learn so much about this region’s history and his culture. As we walked through Mangroves looking for fresh Oysters he shared stories of his ancestors. We talked about his parents but he also opened up about how important it is to him that times change. We hunted for sand crabs with traditional spears while he told me the importance of people learning about his culture. The pride he had for the Kuku Yalanji history was so evident, yet he also was excited about the future. He explained how his artwork and stories combine old and new. It was one of the most important days in my many years of living in and out of Australia. To be able to have this conversation with someone so welcoming truly meant a lot to me. The gallery where Binna creates his incredible art is open to the public to either visit or join in. Binna’s art classes will teach you how this unique style of painting is created using traditional stones and methods. Many people will simply pass through Cairns as an airport arrival point or skip to the port for the reef. Don’t make that mistake though as this cool AF city deserves a night of your trip. 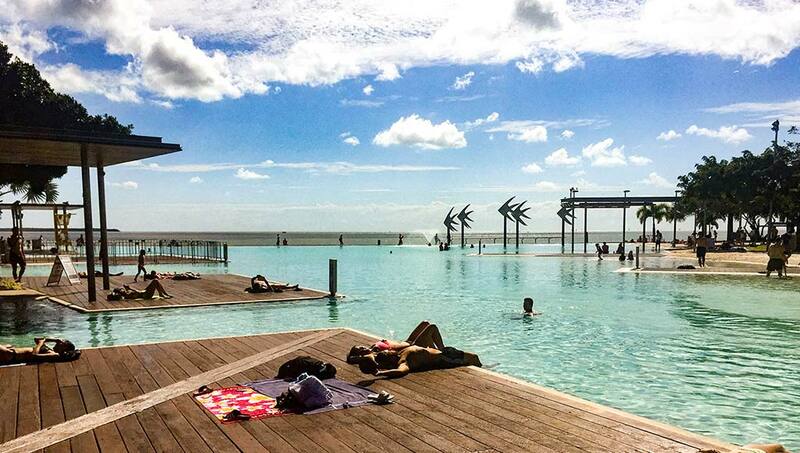 With vast and free public pools on the esplanade and complimentary BBQ equipment through to the friendly bars often with live music, the laid back positive attitude in Cairns stuck with me. There is something about this compact city that has me hooked. Kuranda state forest is another attractive option for those who don’t want to venture as north as Port Douglas. 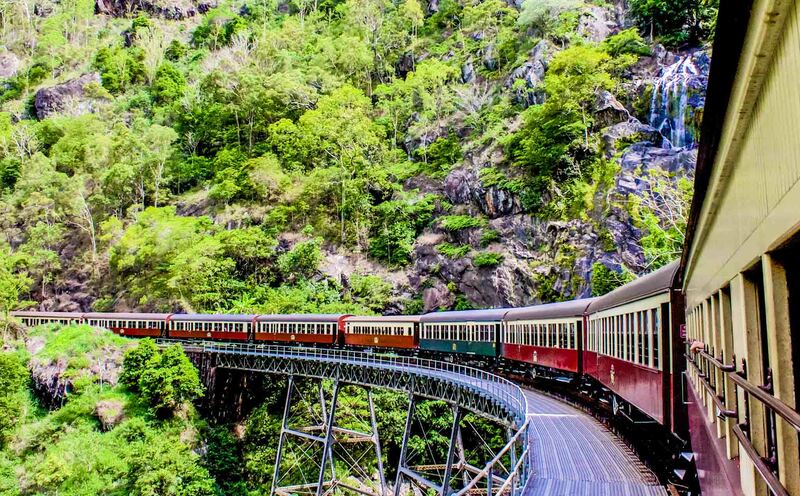 With a scenic railway that could be in Harry Potter or the glass bottomed cable car as two means of arrival, the journey is just as magical as the adventure. Although the small village in the rainforest offers up opportunities to understand and purchase from native stores, I found the whole area way too commercialised and far too busy so I would suggest spending more time wandering the forest than in the village itself. The highland region of Atherton, just outside of Cairns, is a perfect road trip stop before carrying on down the Bruce Highway. Kangaroos, Wallabies, waterfalls and incredible viewpoints across the green rolling hills are all here. With historical trees and impressive hikes aplenty it’s both a photographers and nature lovers heaven. Perhaps the best beach in the world, especially when seen from above. Accessible by boat, most commonly from the Whitsunday Islands of Airlie Beach, this incredible spot of white sand filters into an inlet which makes it visually stunning as the water levels drop and rise to reveal an alcove of water and sand. While there is a viewpoint to witness it somewhat at ground level the true magic can only be appreciated by taking a flight above the beach and Heart Reef which was one of the most stunning experiences of my life. 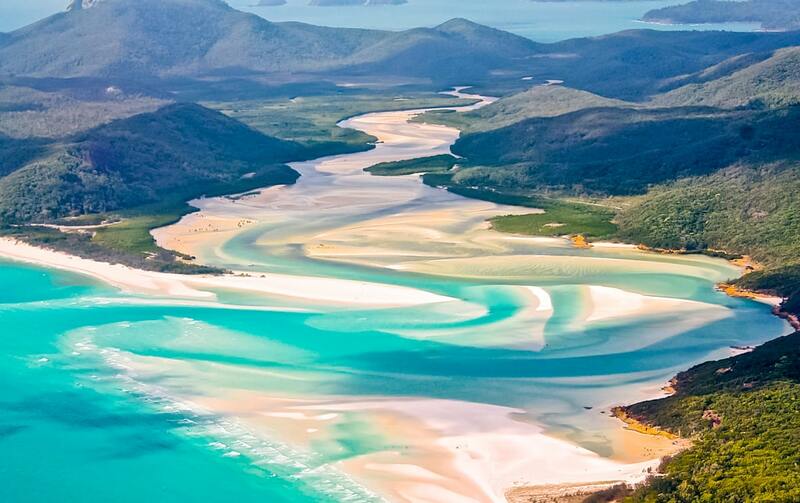 You can see the Whitehaven beach from above video and guide here. Laid back, chilled out yet as luxurious as you want. The collection of Islands here offer up some of the most relaxing spots in the whole country. After the horrific Cyclone Debbie hit earlier in the year much of the islands were damaged, but thanks to that Aussie team spirit most resorts and most the damage is repaired. Take a few days here to chill out on your Queensland road trip; one whole island is even a golf course! Do this! Whatever you do, do not miss Fraser Island on your Queensland tour. Deservedly World Heritage listed this is the largest sand island on our planet and the only place in which rainforest grows just on sand. If it doesn’t blow your mind just for that sheer fact it also has crystal clear lakes, is home to the infamous Dingo and the 75-mile beach is a designated runway and highway – perhaps the best drive of my life! 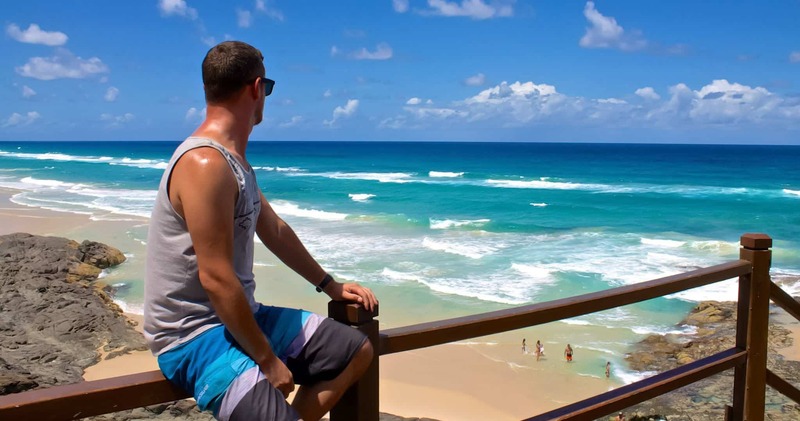 It’s possible to do it either by tour or by hiring a 4WD and getting the ferry – I wrote about the pros and cons and both ways to do Fraser Island. If you have some extra time on your hands then take a detour from the coast between Rockhampton and Hervey Bay (starting point for Fraser Island) and head inland towards Carnarvon Gorge. This is one of the best places to go hiking in Australia thanks to the towering rocks, moss gardens and canyons. Brisbane, the capital of Queensland is often overlooked to the likes of Sydney and Melbourne. That is changing and without a doubt, it can proudly hold its own. It has been seven years since the devastating floods of 2010. Since then this city has developed itself into a cosmopolitan and relaxed destination. It might not have the Opera House or the Laneways, but it does have those tropical vibes, a much more laid back and alfresco drinking scene and grabbing a picnic by the pool along the river ain’t a half bad way to enjoy your time. The video was produced on assignment with Lonely Planet and Three UK. 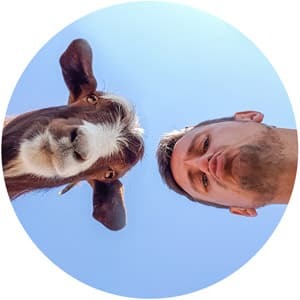 Want to know how you could work with Lonely Planet? Take a look at the LP Pathfinders programme.